Native to Thailand. Likes bright light, partial shade. Blooms in the summer. Climbing vine. Ships in a 4'' inch pot. 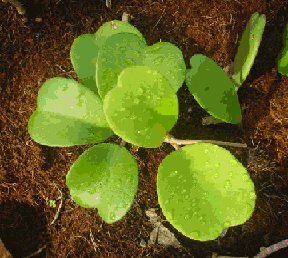 This vining plant with heart shaped leaves comes in green colors and each leaf can grow to about 20cm tall, is sold as a gift item for special occasions. Makes for an excellent indoor plant.